Hear how a data-driven, next-best-action approach helped Sprint forge better customer relationships and increase customer retention. "Pega's tool is another investment to make our customers happy." 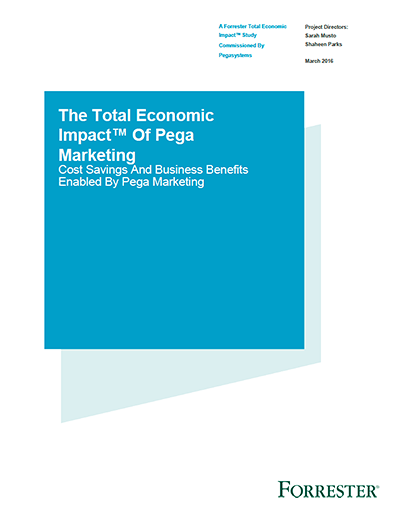 Pegasystems commissioned Forrester Consulting to conduct a Total Economic Impact™ (TEI) study to examine the potential return on investment (ROI) enterprises may realize by deploying the Pega Marketing Application. Great retention starts early, so don't wait until you're on the verge of losing business to a competitor. Take the right steps now and resolve problems in real time.